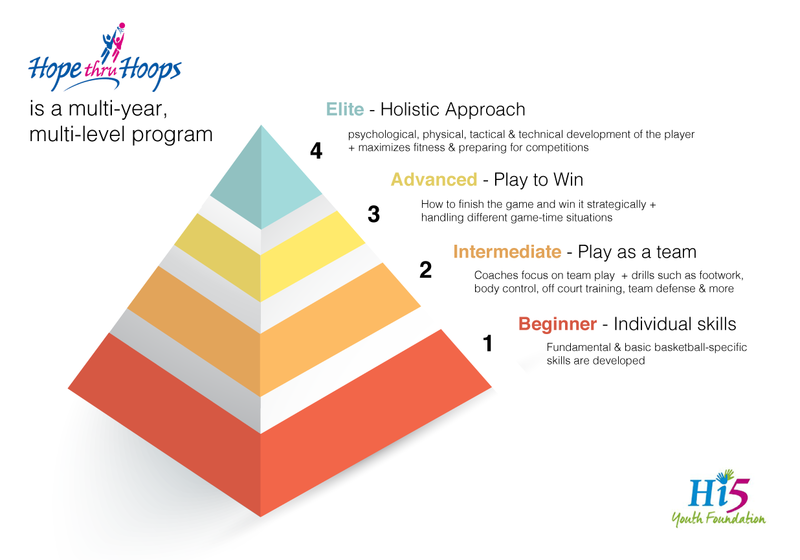 Hi5’s flagship program, ‘Hope Through Hoops’ is a four year, multi-level, and high-quality program. This program creates an opportunity for the kids to learn basketball through professional coaching that follows our in-house curriculum. 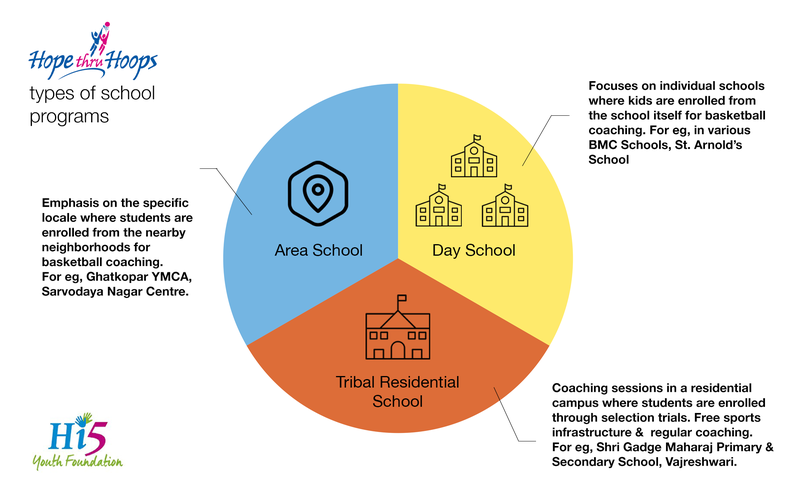 Hi5 Youth Foundation currently supports over 1466 students across 10 BMC schools, 2 slum area program, and 2 residential school, trained and coached by nearly 25 basketball coaches across all centres. In a month, the aim is to complete 24 sessions, spanning about one and a half hour each. At Centres that have 2 levels, beginner and intermediate, there are 100 students in total, 60 beginners and 40 intermediate students. Students are provided with free snacks after every session. Hi5 Youth Foundation also distributes jerseys, socks and shoes to each enrolled students. Students leave the shoes in the premises and take the socks and jerseys back home with them to be washed and brought for the next session. Students also learn important life-skills through play like decision-making, discipline, cleanliness, kindness, teamwork, sharing, time management and more. Through this program, we hope to produce India’s next generation of elite basketball players! Elite level i.e 4th level of the program is a tactical and technical development program for players who excel is the game during the training program, which is under process as we plan to have an academy in near future for the conduct of this program level.